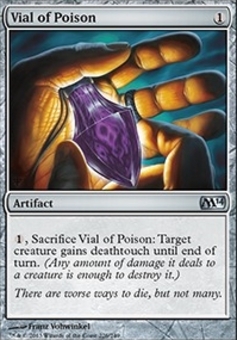 Dark Prophecy ($1.94) Price History from major stores - M14 - MTGPrice.com Values for Ebay, Amazon and hobby stores! 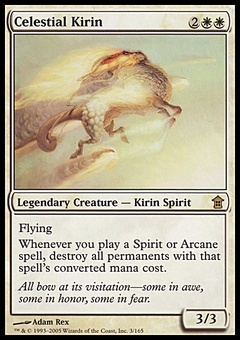 Card Text: Whenever a creature you control dies, you draw a card and lose 1 life. 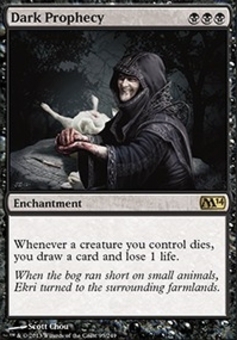 Flavor Text: When the bog ran short on small animals, Ekri turned to the surrounding farmlands.